Due to its built-in survivability, Priest has the best Control deck in the meta. Priest is a class that’s always had some variation of a powerful Control deck at its disposal. Thanks to the built-in healing mechanic Priest gains through its Hero Power, it’s much more difficult for Aggro decks to chip away at their health in the early game. Due to this built-in survivability, Priest has the best Control deck in the meta. Classes like Mage and Warlock have struggled to get their Control variants off the ground this season, partially due to how fast the current Aggro decks that are in meta can be. Hunter and Paladin are both incredibly fast decks, and other classes often can’t find the necessary board clear and recovery cards to stay in the game. Luckily, Priest excels in all of the areas necessary to perform well against Paladin and Hunter. It has early-game board clear and sustain, as well as late-game board clear and damage. Like most Control decks, your primary objective is to survive until the end game and then hit your opponent with a massive tempo play—which, in this case, will come in the form of Shadowreaper Anduin. 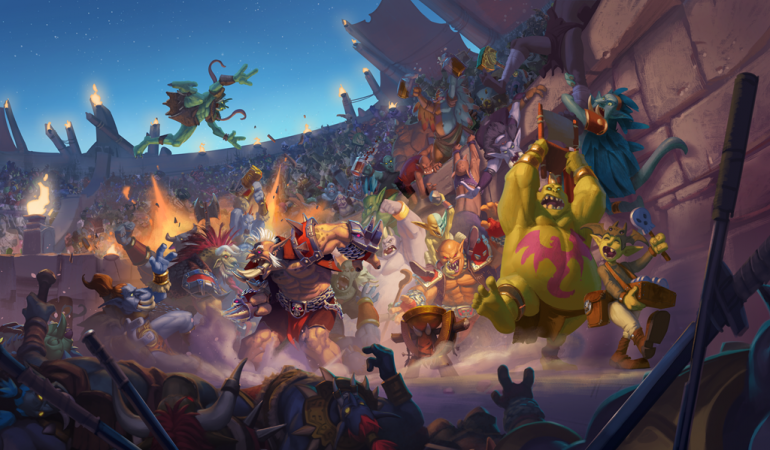 Your early game will be spent trying to out-value your opponent and force them to answer your board. One of the primary cards you’ll use to do this is Northshire Cleric, which is a one-cost minion with one Attack and three Health that allows you to draw a card anytime a minion is healed. Your opponent will want to destroy this card as fast as possible due to how quick it will allow you to cycle through your deck. The faster you’re able to cycle your deck, the faster you’ll draw Anduin and board clear. 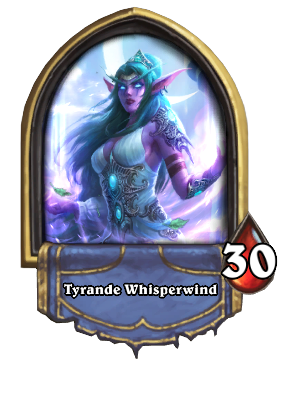 At some point in the mid-game, you’ll probably be using what’s arguably the best card in this deck, at least in the Aggro matchup. 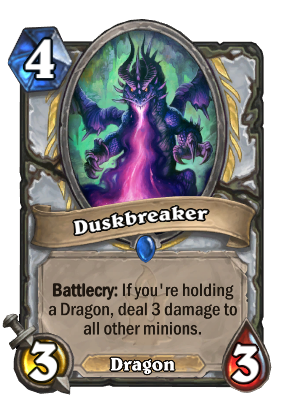 Duskbreaker is a four-cost 3/3 Dragon with a Battlecry that allows you to deal three damage to all other minions, as long as you have another Dragon in your hand. The majority of minions in this deck are Dragons, which means you won’t have any trouble triggering your Duskbreaker’s effect. So what makes Duskbreaker so great? Duskbreaker is one of the lowest cost board clears in the game. Most classes like Mage don’t have any reliable board clear until they have at least five mana. Usually by this time, an Aggro deck has already done so much damage to Mage that it’s difficult for them to recover. Since Duskbreaker can be played so quickly, you’re able to drive a serious wedge into your opponent’s rush-down gameplan. Plus, unlike most board clear, you get the extra value of playing a minion and not a spell. The closer you get to the late game, the more you’ll want to be establishing a board presence with cards like Twilight Drake and Scaleworm. Should your opponent amass another board full of minions, you’ll want to use Psychic Scream. This is a seven-cost spell that will shuffle all of your opponent’s minions back into their deck. This can be a great way to slow them down, since it not only clears the board, but can keep your opponent from drawing priority cards. Speaking of priority cards, by the late game, you’ll want to have Mind Blast, Alexstrasza, Shadow Visions, and Shadowreaper Anduin in your hand. This is where you win the game. Alexstrasza is a nine-cost 8/8 Dragon with an effect that allows you to set a player’s health to 15. You’ll want to do this to your opponent unless they’re already lower than 15 health. 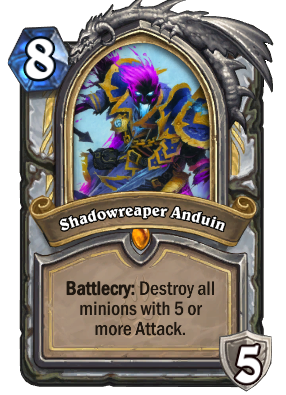 After or before playing Alexstrasza, you’ll want to play Shadowreaper Anduin. This Hero card will make it so that your Hero Power does damage instead of healing. The Hero Power is also refreshed whenever you play a card. And this is where your Mind Blast and Shadow Visions come in. Shadow Visions is a two-cost spell that allows you to discover a copy of a spell in your deck. You’ll be using this to discover either another Shadow Visions or another Mind Blast. Everytime you play a spell, be sure to use your refreshed Hero Power to blast your opponent in the face. You can then finish them off with Mind Blast, a two-cost spell that does five direct damage. Usually, your opponent is unable to recover from the continued Mind Blast and Hero Power assault. Control Priest is a fun deck that has found a decent place in the meta thanks to its performance against other meta decks like Spell Hunter and Odd Paladin. If you’re a Control player from another class and you feel like you’ve been forgotten in this expansion, giving Priest a shot might be worth your time if you have the extra dust to invest in the appropriate cards.